1985's Hallelujah All the Way Home is not just a Flying Nun gem, it's an underappreciated rock record of the 80's, and Juvenilia is a solid companion piece to the album. The Verlaines have shifted members and shape over time, so it's been hard to pin down the trajectory of Graeme Downes's fine New Zealand band. They also, like other great bands from New Zealand (read: The Clean) started with scattershot recordings, making their debut on the 1982 Dunedin Double compilation EP and releasing singles and, eventually the 10-inch 10 O'Clock in the Afternoon in 1984. 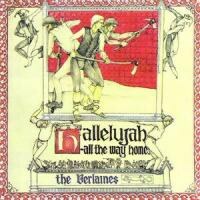 The band stripped down from a quartet to a trio over that time, and shuffled through drummers and bass players, until finally Downes, with drummer Robbie Yates and bassist Jane Dodd, recorded and released the first proper Verlaines record, 1985's Hallelujah All the Way Home. It must have been a shock, considering the line-up changes and smattering of recordings, to hear this thing in the mid-'80s and realize just how cohesive and ambitious the record was. Captured Tracks, who has teamed up with Flying Nun to reissue a number of classic New Zealand records this year, now gives us a chance to revisit this lost gem. Not lost, maybe, but overlooked. The line on this one, for a while, was that it was a solid record in search of its own voice, the band a good study of music but still looking for its own sound. Considering Downes recorded this as a project for a music class (he got an 'A'), that's a fairly logical conclusion. But the record is hardly derivative. 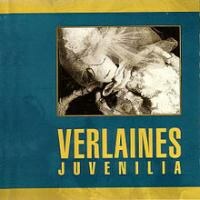 For one, the Verlaines remain a unique sound in New Zealand rock. They move with quicker, harsher angles than, say, the Clean, but they don't ramp up the fuzz to blistering effect like, say, the 3Ds. Instead, the band roams some ground somewhere between those two poles, between the guilelessly sweet and the subtly snarling. This all begins with Hallelujah All the Way Home, a record not so much about borrow musical moves as it is built on Downes classical training and understanding of how song structures work. And the album hits with a punch in the mouth right away. Opener "It Was Raining" seems unassuming enough, lilting in on piano and Downes's voice at its most restrained. But then the band comes to life, and the guitars jangle and warble, and Downes works himself into a wanting yelp, and the song rises and crests over and over again, building up to choruses, bottoming out in tense moments of quiet, only to burst open yet again. When Downes screams, "It's your way, it's not mine," quoting an old flame (perhaps), you can feel the memory fresh in his mind, you can feel it peeling away at the patina of control the song operates under. It's an airtight composition, like so many here, and yet it constantly feels ready to disintegrate. "The Lady and the Lizard" pulls a similar trick, rippling out with spacey chord phrasings and lean bass lines early on, until the strumming speeds up -- think early Wedding Present fast -- and you think you're in for another bit of breakneck pop. Until the middle of the song clears out for a winds section behind Downes, an odd but somehow logical left turn that ends up circling back around to the song's jangle-pop muscle. These kinds of twists and turns and composition fit well with the narrators of Downes's songs. Often desperate, they seem to exists between pints, between crises, between sleeping it off and tying it on, whether that "it" is a drink or another bout of regret. And yet there's something irrepressible about them, something triumphant, even if sometimes misguidedly so. No wonder the backing vocals of "Phil Too" sound like an angelic choir. No wonder the excellent closer "The Ballad of Harry Noryb" feels like some epic victory, as drum fills build and build and chords slash out into space. There's a seedy underbelly feel to these songs, a focus on those that live on the edges, and they seem to grip those edges with their toes, unafraid to fall off because the last fall still stings so sweetly. There's something almost Sisyphus-like about it, except it's not repetition. Instead, in the sheer want of Downes voice, in the small connections we catch glimpses of, even in the near misses, there is movement, however incremental, towards a kind of hope, a kind of change. And in all that shifting musical landscape, that shows both the change and its lack of permanence, it's easy to miss the more straightforward tracks, the excellent power-pop brilliance of "For the Love of Ash Gray" or even the stately, seemingly out-of-place folk of "Don't Send Me Away". At just 33 minutes, it's easy to see this record as short, even slight, but instead it's as impressive to hear now as it must have been nearly 30 years ago. Downes and company prove that ambition and concision aren't mutually exclusive, that the parts can be succinct but the whole unruly in all the best ways. Hallelujah All the Way Home is not just a gem of the New Zealand scene, it's an underappreciated rock record of the '80s, one worth revisiting. Also worth revisiting is the other reissue provided by Captured Tracks, 1987's Juvenilia. This compilation came between Hallelujah All the Way Home and its follow-up, the also-excellent Bird Dog, and it collects the early singles and EPs, showing us the path that led to that excellent debut record. It includes one of the band's signature songs, "Death and the Maiden", which sets up the band's ability to shape-shift mid-song and also name checks the band's name sake, poet Paul Verlaine. It's also a set that shows some deviations not on the debut, like the dusty acoustic pop of "Joed Out", the moodier spaces of "Baud to Tears", or the strings and heavy vocals of strange track "Wind Song". But if the experiments are more far-flung here, these moments don't always hit with the same impact. Other moments, like the fiery "Crisis After Crisis" or the lean charge of "Pyromaniac" find the band trying to shake some influences. In particular, they sound a lot like the Clash in spots, though perhaps a more pop-oriented version. Oddly enough, "C.D. Jimmy Jazz and Me" is a bittersweet gem, a moment where we see the Verlaines carving out their own musical space, building on those influences to make something distinct. And when you hear the live cuts here, especially the stage version of "Phil Too", you can feel the band getting etched fully into shape. It may not be the essential record Hallelujah All the Way Home is, but Juvenilia is a solid and remarkably consistent companion piece to one of the great Flying Nun albums. The Verlaines, especially Downes, were incredible students of music, and these two records show some of the texts they studied. But, more importantly, they also showed where the band stopped being just students, where in 1985, they got together and made the kind of record that told the music world that now they had something to teach us as well. And the Verlaines, even now, are still a pleasure to learn from.